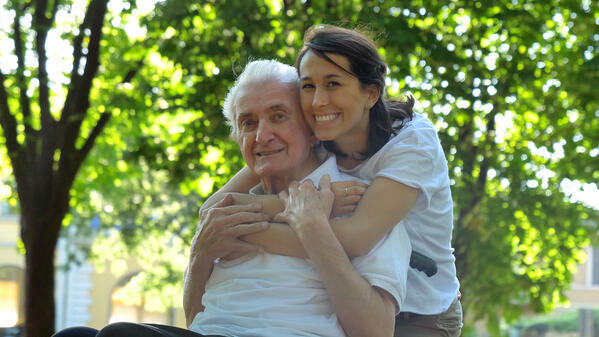 Laura knew that her father would be safer living at Lake Forest Place, a senior living community in the Chicago area, than at home on his own. That proved true only a month after his move-in, when a low blood sugar incident led to a fall. She reports that not only is he benefitting from the security of the Life Plan Community, but he’s also enjoying the social and lifestyle benefits. Laura recently shared her experience with her father’s move-in with us. Here’s how she and her siblings supported her father, Joseph, during his move, as well as her tips for smoothing the transition. Laura grew up in Lake Forest as the oldest of three children. After her mother passed away four years ago, her father, a retired banker, remained in the house they had shared in Lake Forest. Recently, though, he had started to consider his living options. “It was time,” Laura said, explaining that her father is a social person who was beginning to feel lonely living by himself. When Joseph began looking for independent living options for active seniors in the Chicago area, it was easy for him to narrow down his choices. Laura and her siblings, who had been concerned about him living on his own, were happy to hear that he was taking proactive steps and offered to help. One of the things that was the most fun for Laura and her sister, she said, was customizing her father’s new apartment home. Joseph had a say in their decisions, but he was more than happy to turn it over to his daughters. They decided to be very intentional about the design to incorporate elements of his previous home. Other custom touches included the color of the kitchen cabinets and finishes. They also brought over a couple of light fixtures to make him feel at home right away. Which part of the process wasn’t so fun? The downsizing. “I think the emptying out of the house and that process that we’re going through right now is much more difficult [than the move itself],” Laura said. Beyond the physical safety aspect and the health and wellness benefits at a Life Plan Community like Lake Forest Place, residents can also take advantage of social events and lifestyle programming. This has been one area Laura’s father has particularly enjoyed. As a very social person, it’s now easy for Joseph to see friends—both new and old. In addition to one of his good friends from church and his wife’s former boss, Joseph also discovered that he knew a Lake Forest Place resident from his career. Where once Joseph had to rely on his children to see friends, he can now be self-reliant. Joseph is also taking advantage of the lifestyle programs. He enjoys the sports roundup held on Mondays and attends poetry and art lectures. “He loves to learn,” Laura said. Laura says that her father’s move to Lake Forest Place has “absolutely” been a gift to her and her siblings. They no longer have to worry about their father and, better yet, did not have to overcome any resistance on his end. He’s living in a community that can provide for his needs both now, when he’s active and independent, and in the future, no matter what changes he experiences in his health. Her advice to other children of senior parents?